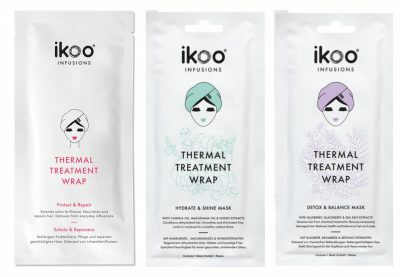 Introducing ikoo’s innovative new Thermal Treatment Wraps, think sheet-masks but this time – for hair! 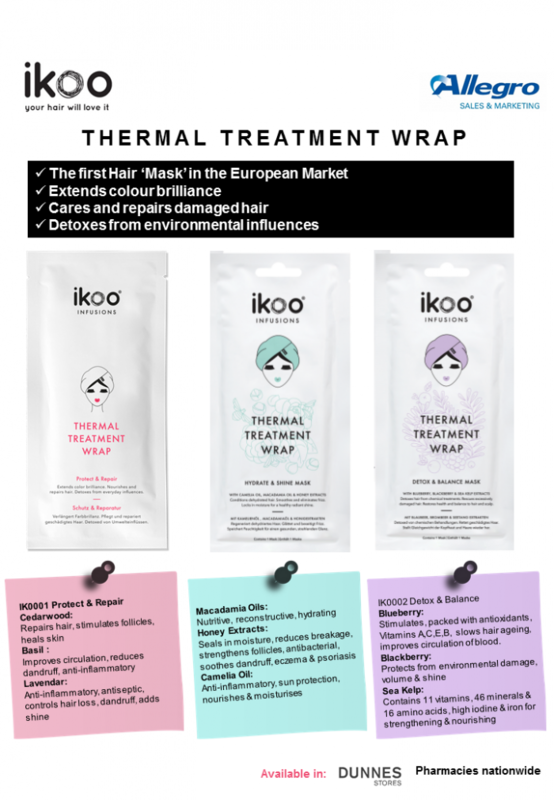 ikoo is bringing this new craze to town with three incredible thermal hair wraps that use the body’s warmth to offer protection for coloured hair, detox for damaged hair and shine for eliminating frizz. They’re super easy to use, after shampooing, rinse and blot dry the hair with a towel, slip the wrap onto the hair and secure with the sticker tab. Leave on for 15-20 minutes, massaging frequently. The heat from your body will work with the treatment and it will spread thoroughly into the hair and roots. Rinse in lukewarm water, then dry and style as desired. Extends colour brilliance, nourishes and repairs the hair and detoxes from everyday influences. Infused with lavender oil, and juniper oil and basil. strengthens against breakages. Infused with blueberry, blackberry and sea kelp extracts. oil, macadamia oil and honey extracts. ikoo is the first to market these masks in Europe and is PETA registered. ikoo brings affordable luxury to all.